BLS International a partner in Digital India revolution | "Transforming Governance Beyond Boundaries"
Even a decade ago one had to run from “pillar to post” to get a property registered. It is only in India you will find a cottage industry of hawkers who know how to grease the wheels of a creaky system bedevilled by red tape and stifling bureaucracy. But thanks to information technology, awakened civil society, and a responsive government in the centre that promises and delivers “citizen rights”, the winds of change has finally arrived. Today, if there is one state which has embraced Digital India whole heartedly it is Punjab, which has outsourced most of its citizen services to professional private organisations. And if there is one organisation, which has risen to the challenge of change, it is BLS International Services. It has ably partnered with Punjab government agencies for e-governance, where the citizens can avail essential services/records from their government in the most efficient manner. 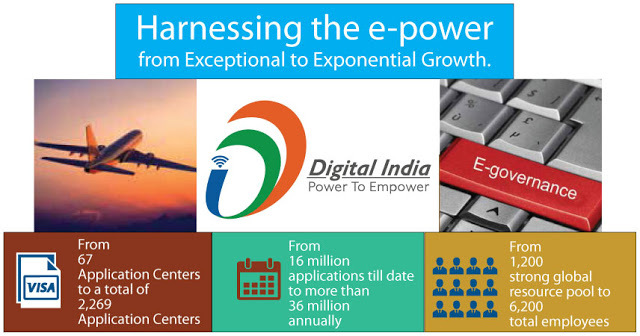 Launched by Prime Minister Narendra Modi, the Digital India Initiative connects rural areas with high-speed internet networks. What has given a major boost to Digital India movement is the recent demonetization of Rs.500 and Rs. 1000 currency. This sudden drying of cash led to many people adopting electronic modes of cash transfers like mobile wallet, credit and debit cards, and net banking. Government of Punjab mission was straightforward: citizens of the State should get all government services being delivered by any government department in an integrated manner, across the counter under one roof in both urban as well as rural Areas. To make these services easily accessible in local vicinity of the citizens, Service Delivery Centers namely “Sewa Kendras” were set across the state with the objective of providing services to citizens in a hassle-free, fast and transparent manner. BLS International operates, maintains, and manages all the 2,147 SEWA Kendras in both rural and urban areas in Punjab. It coordinates with PSeGS (Punjab State e-Governance Society) and all concerned participating departments and district administration, for delivery of 78 services notified under the Right to Service Act, 2011. Now they can go to the nearest Sewakendra and avail these services in the most streamlined, efficient, and transparent manner. BLS International is a proud participant in the transformation of India where the citizens are empowered to availing essential services/records from their government in the most efficient manner.